With this year’s Rotax Pro Tour finale being a ‘double header’ event, IKD has announced that the pre-finals and finals on BOTH days will be live streamed. Albury – Round 6, our Grand Finale of the 2019 Season and the Jason Richards Memorial Round will also be the “Double Header” meaning on both Saturday and Sunday drivers will be competing in a Pre-Final & Final and points will be awarded for both days. 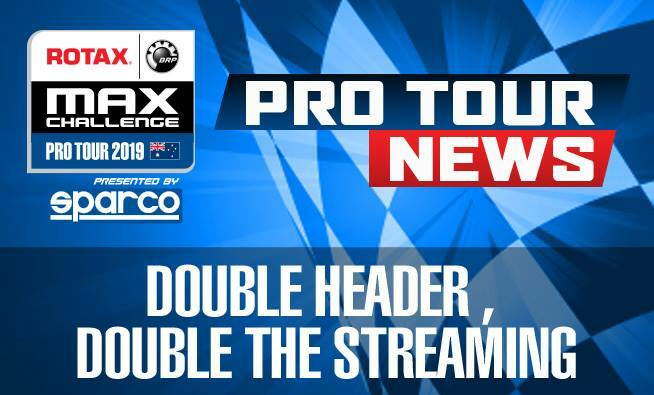 IKD and the Team at Viztek Media have decided that in order to make sure no one misses out on the action from home that we will LIVE STREAM both Saturday and Sundays Pre-Finals and Finals because double the action should mean double the streaming.